The Film is based on the novel by Strugatsky brothers. Police inspector is called to a mountain hotel, but there's no crime. When snow avalanche blocks hotel from the rest of the world, strange things start to happen. It is not very usual Sci-Fi. It starts like a crime that slowly turns to be Sci-Fi. 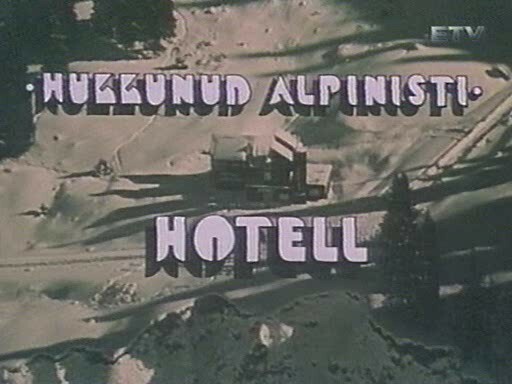 JÃ¼ri JÃ¤rvet (hotel's owner Alex Snewahr) should be known to Sci-Fi fans (as Dr. Snaut in Tarkovsky's "Solaris"). The film was taped from TV and then ripped from VHS. That it is my first translation to english, which is not my native laguage. Last edited by valja on Sun Nov 06, 2011 12:15 pm, edited 3 times in total. Thanks valja, i saw and i did a translation to spanish. Wow, you are posting some really rare movies!